Obituary – Niles, Vickie Ann « Perry High School Alumni Association, Inc.
﻿Pep Club 9,10,11,12; Band 12; Newspaper Staff 11; Jr. Play Committee; Library Staff 10; Annual Staff 12; Band Council 12; Thespians 10,11,12; FTA 10,11; Cheerleader 9. Vickie Ann Niles, 21, Perry, died at 12;30 a.m. Saturday at Bethel hospital at Newton, Kan.
Funeral will be at 2 p.m. Monday at the First Christian church in Perry. Officiating will be Rev. Joe Samuels, pastor of University Christian church in Oklahoma City, formerly pastor of the Christian church here. Burial will be in Grace Hill cemetery under direction of the Parker funeral home. Miss Niles had been admitted to Prairie View hospital at Newton Oct. 2. She was transferred to Bethel hospital Friday night. Born Oct. 4, 1952, at San Diego, Calif., Miss Niles lived here with her parents, Mr. and Mrs. Bennie Niles, 703 Country Club Road. She came to Perry in 1957. The family moved to Anadarko in 1960 and returned to Perry in 1964. 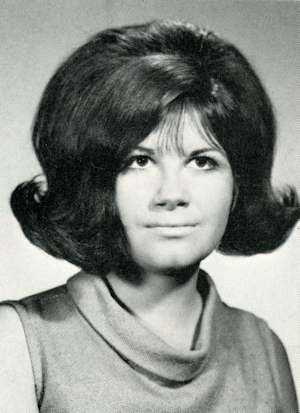 Miss Niles graduated from Perry high school in 1970 and had attended college. She was a member of the Christian church. Survivors other than her parents of the home include two sisters, Cathy Niles, Bethany, and Trisa, of the home; one brother, Clay, of the home; and her paternal grandmother, Mrs. Jess Plunk, Golden, Colo.